Home » Injury » Broken Ankle Vs Sprained Ankle: What Are the Differences? What Does Broken Ankle Mean? What Does Sprained Ankle Mean? Over a million people of the United States visit emergency room because of ankle injuries. Talking about ankle injuries, people always compare broken ankle vs sprained ankle. 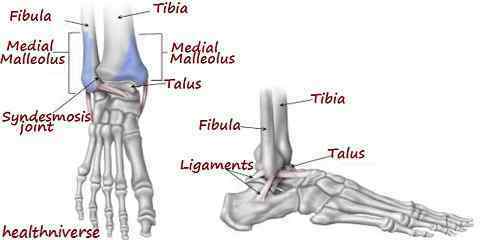 In fact, they are the most common injuries that happen related to ankle. Both of them are different and they also have different causes & treatments. So, you have to be able to differentiate them clearly. 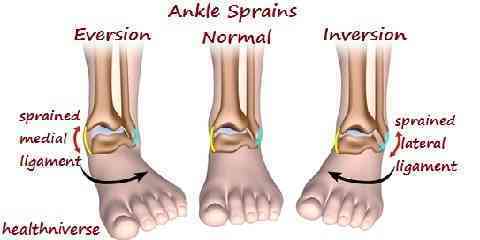 Fractured ankle versus sprained ankle can be differentiated with some symptoms. Anyway, you also need to know how to prevent them. Before we compare the signs of a broken ankle and sprained ankle symptoms, we need to understand the definition of both of them. Let’s start from broken ankle first. 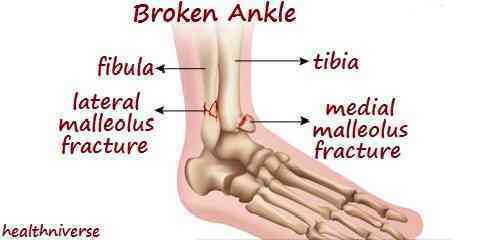 Broken ankle is also well known as ankle fracture. It is a popular kind of sports injury. It requires medical attentions. If pain and swelling do not resolve in a day or 2 days or you cannot walk on foot, you must meet a doctor. If it looks deformed or you experience weakness, numbness or lowered circulation of the impacted legs, you need to meet a sports medicine physician as soon as possible. Do not wait until your broken ankle condition gets worse. Types of ankle sprains may range from mild ankle sprains to severe ankle sprains. Commonly, this is observed in an athlete. Commonly, the symptom relates to sudden pain, bruising, inability to work and swelling. If your sprained ankle is mild, you usually experience tenderness and you may not experience swelling. 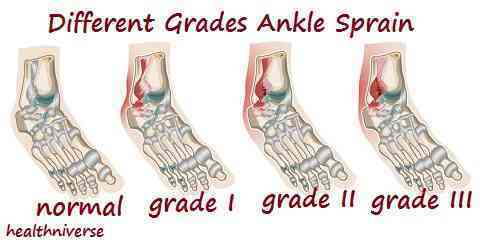 However, if your sprained ankle is severe, swelling will be substantial. Besides that, the pain will be intolerable. If you experience sprained ankle or twisted ankle or rolled ankle, you can try reducing the pain and swelling by applying compression bandage with ice. In severe cases, you have to wear a split for stabilizing your ankle. In addition, you also need to take certain over-the-counter medication. For athletes, you probably require physiotherapy until you are ready to do the normal activities as usual. 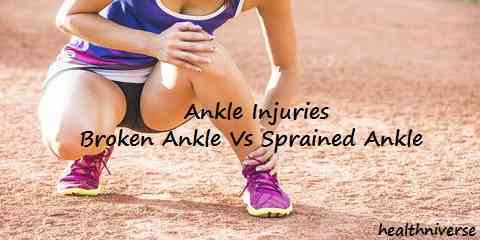 After paying attention to the definition of each of them, we need to be able to tell the difference between ankle fractures and ankle sprains. Even though the symptoms are similar, you can differentiate from some signs. First, you should recall whether there is a sound when you get injured. The cracking noise may indicate a broken ankle. On the other hand, ankle sprain usually has popping sound. Besides, you also need to check whether your ankle looks crooked or deformed. It can be the symptom of ankle fracture. Then, if numbness exists, it means you experience ankle fracture, too. In addition, if you are not able to move your joint of ankle at all, or you feel extreme pain, or you are not able to put weight on ankle at all, it means your ankle is broken. If you are still not sure, it will be better to go to a doctor to take X-ray test. There are some tips that can lower the risks of ankle injury including fractures and sprains. You should not play sports when you feel too tired, eat regularly with healthy foods, warm up before doing exercises, cool down after doing exercises, build muscle strength, wear good quality shoes, etc.